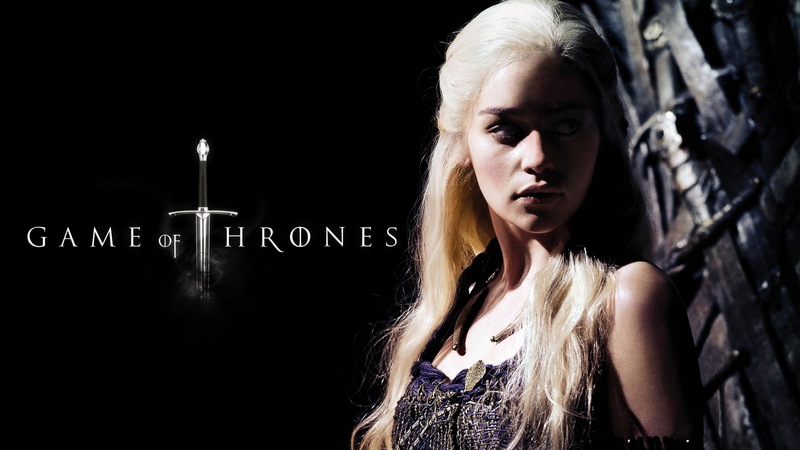 Ready the popcorn and the pajamas – it is going to be a wall-to-wall weekend marathon leading up to the return of “Game of Thrones” on Sunday. The strangely glamorous, tumultuous and turbulent world of Westerous leaves us reeling and excitedly chattering about the lavish fashions and costuming each week. Lucky for us, jewelry design studio Pyrrha, announced the launch of its new new line of talisman necklaces and rings inspired by the show. 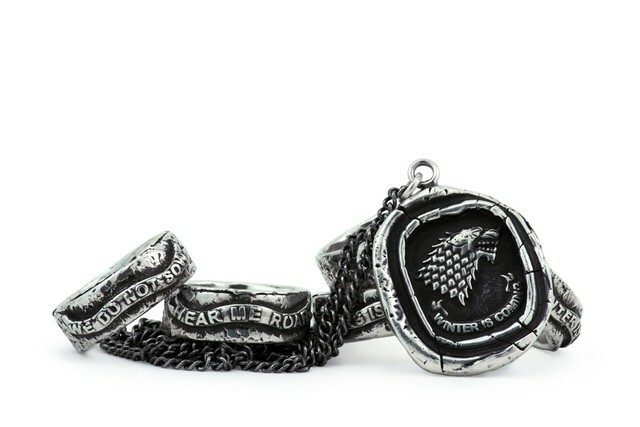 The Game of Thrones sterling silver collection retails from $96 to $900, and will be available at the HBO Shop, Pyrrha online and select retailers beginning on Friday. Pyrrha’s House of Stark rings and necklace.